The Murat Centre Indianapolis is a multi-purpose facility featuring a 2,500-seat performing arts theatre, a 1,800-seat concert hall and banquet room and 600-seat multi-function room among other flexible meeting spaces, including the dramatic and luxurious Grand Lobby. 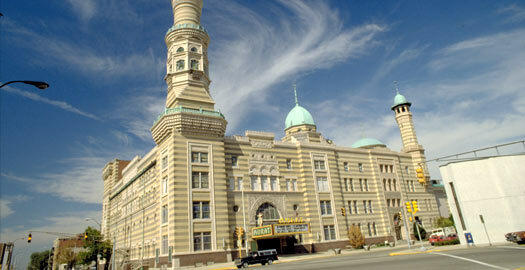 Murat Shrine and Mosque – Right from the start, the Indianapolis Shrine was special. While they don’t know why the name was chosen, their name was the 1st to not have Arabic origin. The founders chose the name of the son of an innkeeper in France who left theological studies at the outbreak of the French Revolution. His name was Joachim Murat (pronounces Mur-ah) and he became a General serving Napoleon in Italy and Egypt. He was so good he was proclaimed the King of Naples in 1808. In the Nubian Desert, there is also an oasis called Bir Murat the general visited often to refresh his soldiers. Actor Rene Auberjonois, most noted for his shape shifter roles in Star Trek, is General Murat‘s great-great-great grandson. Murat was executed by a firing squad after a failed attempt to regain control of Naples. The building was finished in just under a year at a cost of $200,000. The theatre opened on February 28, 1910, with the Schubert Organization of New York leasing the property and, as became the tradition, the Murat nobles and ladies were treated to opening night. 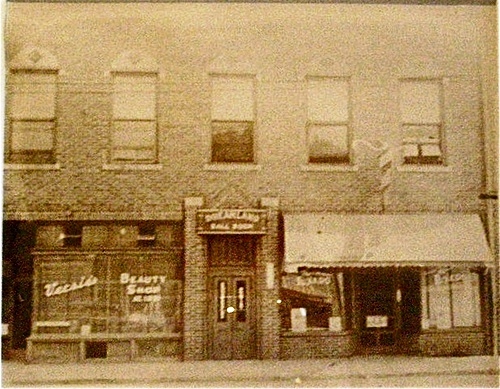 The main entrance and marquee was on New Jersey Street a few feet north of Michigan. The theatre seated 1,950. Broadway came to Indy with the Ziegfeld Follies and many wonderful shows. The performers all loved the style and, more importantly, the acoustics at Murat. The theatre was formally dedicated May 16, 1910, followed by a ceremonial with 190 candidates. The Mayo Civic Centre – named after William Worrall Mayo – is a multi-purpose event facility in Rochester, Minnesota. 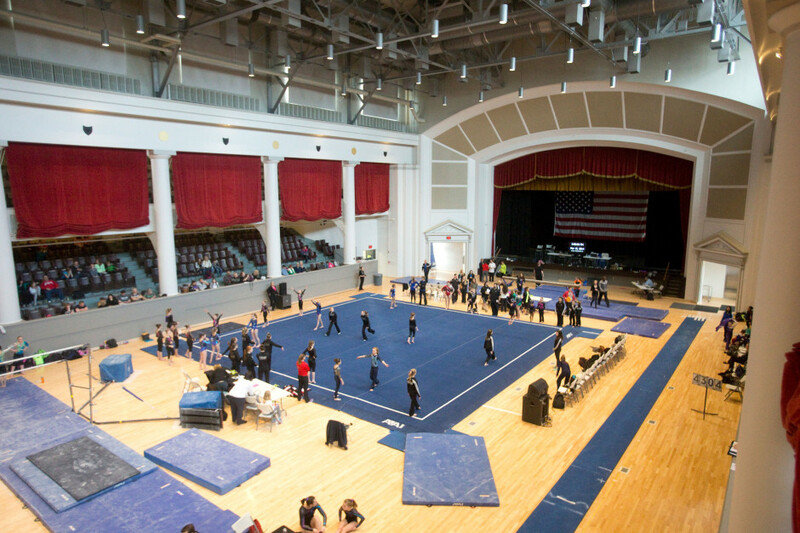 It consists of: Taylor Arena (7200 seat) used for wrestling and basketball, The Auditorium (3000 seat) used for performing arts and an Exhibit Hall. The Centre was started in 1938 and has been expanded and renovated several times over the years. 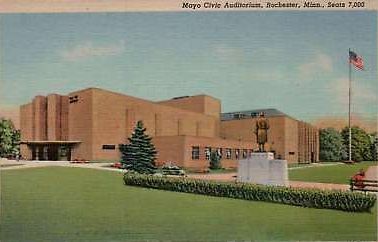 In 1938, the civic leaders of the City of Rochester dedicated the new Mayo Civic Auditorium. This building, designed as a dual-venue complex, provided much needed entertainment for the citizens of a growing community. The brick & concrete structure housed two very different types of activities. The 1700 seat arena was designed to promote athletic events and included a rink for skating and ice hockey. The 1340 seat theatre was intended as a showcase for fine arts and was designed to accommodate midsized theatrical and musical productions. The complex had separate entrances for each venue but a connected back-of-house area. Balconies were constructed in both the theatre and arena. Steel trusses provide the structural clear span necessary for both spaces. 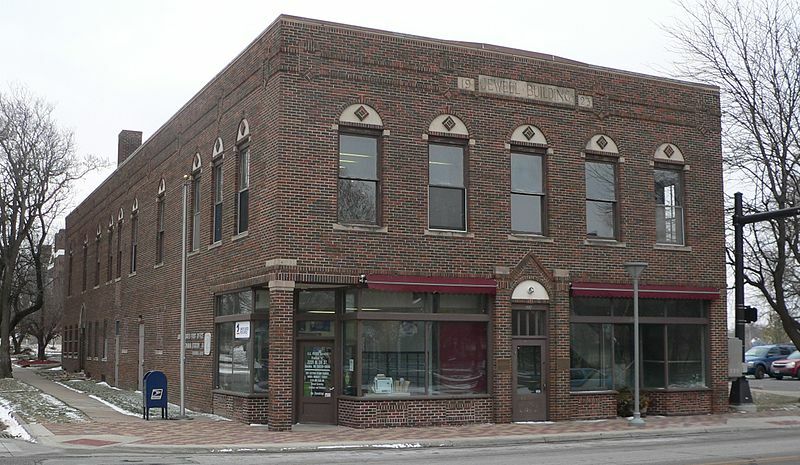 The original building was designed by Ellerbe and Company of St. Paul, MN. With the addition of the Taylor Arena in 1984, the Mayo Civic Auditorium became the Mayo Civic Centre. This $18 million project included the addition of a skylit grand lobby that connected the sports arena and the theatre to this new 4,500 seat arena. Due to the creation of this new venue, the space formerly known as the arena was renamed the auditorium. In addition, new construction included the Riverview Suites, a set of five interconnected meeting rooms fronting Mayo Park and the Zumbro River. A number of rooms to the southeast of the original arena were demolished in order to create office, restroom and storage space. Mayo Civic Centre’s Auditorium, with its permanent stage, plays host to a variety of concerts, family shows, and sporting events each year. The flexibility of the Auditorium allows for bookings beyond entertainment to include conventions and tradeshows of many types. It’s close proximity to our Exhibit Hall and the North Lobby in the Civic Centre offers a natural expansion for very large exhibit shows. This 11,800 space can seat up to 3,400 festival seating and 3,000 concert seating. 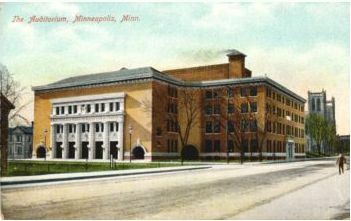 The first Minneapolis Auditorium, financed primarily by the Northwestern National Life Insurance Company, opened in 1905 at the corner of 11th Street and Nicollet Avenue. It held offices for the insurance company and housed a new civic music hall. The hall’s tubular pneumatic action Kimball organ was said to be the 4th largest in the world, and dubbed “the voice of Minneapolis.” The building became the Lyceum Theatre, home of the Minneapolis Symphony, after the 2nd Minneapolis Auditorium (Grant Street and Stevens Avenue) was built in 1927, at a cost of $3,150,000. In addition to hosting conventions, this new auditorium was home to the Minneapolis Lakers basketball team, the first major league team to play in Minneapolis, from 1947 to 1960. 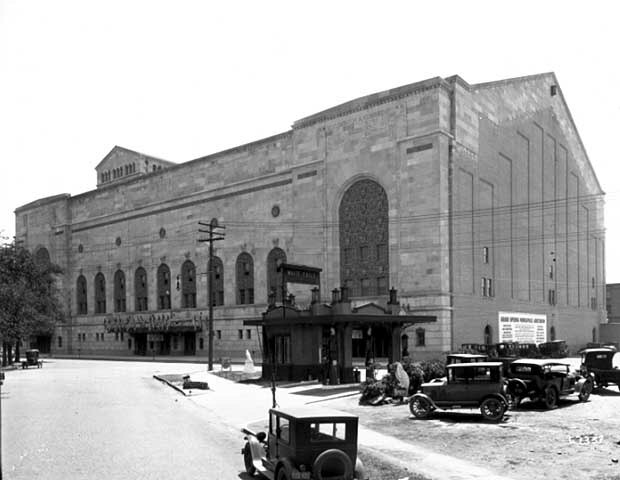 Minneapolis Auditorium was an indoor arena in Minneapolis, Minnesota. It hosted the NBA‘s Minneapolis Lakers from 1947 until they left for Los Angeles in 1960. The arena held 10,000 people and was built in 1927. It was demolished in 1989 to make way for the convention center. In 1946 Duke Ellington came to Minneapolis/St. Paul and played the Minneapolis Auditorium. KSTP radio had its studios on the top of the Hotel St. Paul. He was invited to do an interview there, and he was driven to St Paul’s. Under Jim Crow rules he was asked to take the freight elevator. Needless to say, he never made the interview. On his way back to his own hotel in Minneapolis he just brushed off the incident. Built in 1926, the Minneapolis Auditorium was a municipal space intended for a wide variety of gatherings, and in its early years it was used for everything from circuses to political functions to Lutheran rallies. In 1947, it became the home for the newly formed basketball team the Minneapolis Lakers. When the Shrine Temple Auditorium at the southeast corner of 10th and Pleasant streets was built by Za-Ga-Zig in 1927, it was the largest theatre in the Midwest and one of the largest in the world, with a seating capacity of 4,139. Its domed ceiling contained tiny lights designed by an astronomer to duplicate a summer night’s sky. The copper domes on the outside of the building were reminiscent of the eastern influence of the Shrine. Known earlier as “Death Moines” by Vaudevillians who regulary appeared to sparse audiences, the place later flourished when KRNT Radio and the Des Moines Register and Tribune newspapers – all owned by the same company – were able to promote programs at the theatre such as, “The King and I” featuring Yul Brynner, and “Hello Dolly” with Carol Channing were featured, as were the big bands of Fred Waring, Tommy Dorsey and Xavier Gugat. 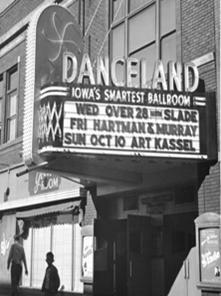 Located on the 1st Floor of the Jewell Building, the Dreamland Ballroom was the premier Nightclub for big Bands and Jazz in Omaha. James Jewell, Jr. booked the original Nat King Cole Trio for $25 a person for one show. Dreamland closed in the 1960s. Other performers included Dina Washington, Earl Hines, Duke Ellington, Count Basie, Louis Armstrong, and Lionel Hampton. Back in the 1920’s through the 1960’s the “Deuce Four,” better known today as 24th street, was lined with night clubs and lounges for jazz, blues and big band music fans. 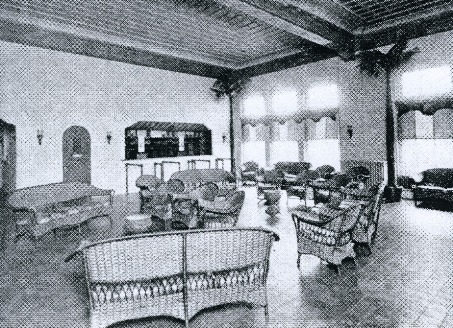 The Dreamland Ballroom hosted many of these musical performances by such artists. With a Straight Horn – Dizzy Gillespie at Dreamland 1948 showing the unique Metal Pan Suspended Ceiling. 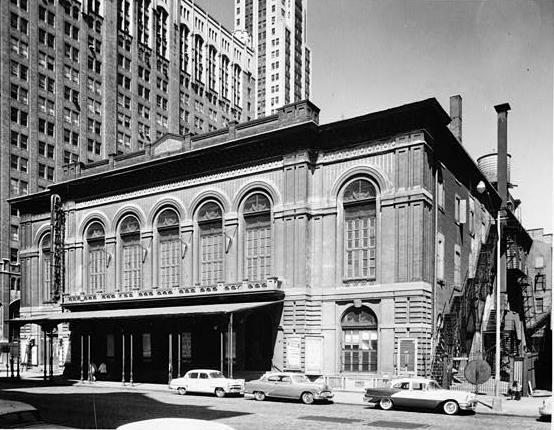 The Academy of Music opened in 1857 to provide Philadelphia with a first class opera house. It remains one of the very oldest intact opera venues in the world. The plain brick facade gives little hint of the jewel box interior. 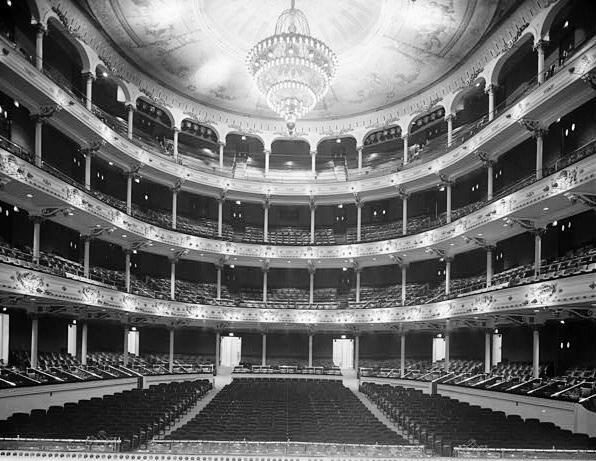 Though built for opera, its most famous use was that as the home of the Philadelphia Orchestra which owns the structure. 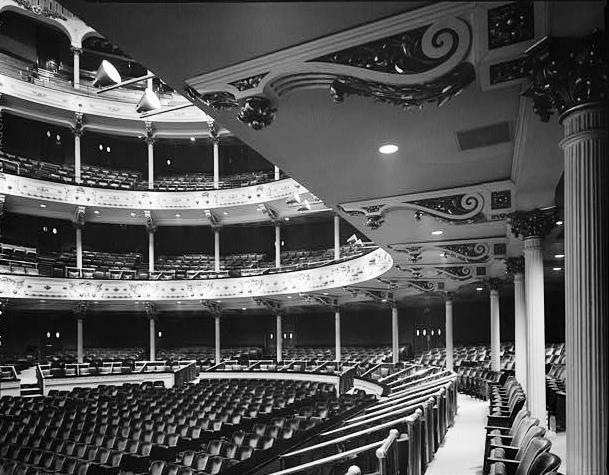 In recent decades, the Academy has undergone several restoration programs and modernization of the stage area. The interior of the auditorium is a notable American example of Old World grandeur. The Coliseum was on the corner of Monroe Street and Windsor Avenue near the Pennsylvania Avenue entertainment area and held 4,500 people. 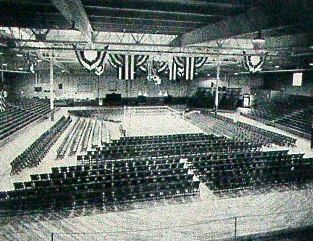 The 30,000-square-foot arena opened in April 1939, with seating for 7,000 (through a combination of permanent bleachers, moving bleachers, and folding chairs). In May of ‘39, Tommy Dorsey brought his band to the room, inviting dancers to whirl around the polished maple floor. The Coliseum kept busy from the war years through the mid-’50s, hosting weekly boxing and wrestling nights, offering roller skating, and housing a variety of events needing plentiful indoor space. The building was demolished in July, 2008.